Base Price Includes: set up and tear down. Please Note: Every tent set-up and tear down is a unique as the event itself. We reserve the right to set-up/tear-down to 72-hours prior to the event. If you request set-up/tear-down within a limited time frame additional fees may apply. Please feel free to contact our tent professionals if you have any question. 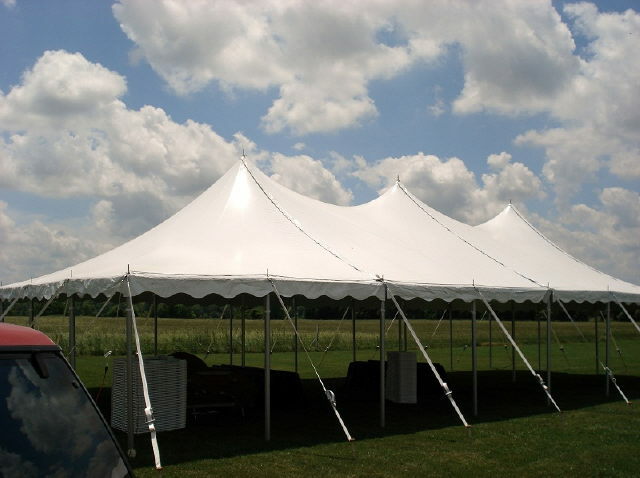 * Please call us with any questions about our pole tent 30x45 rentals in Columbia and Jefferson City MO.